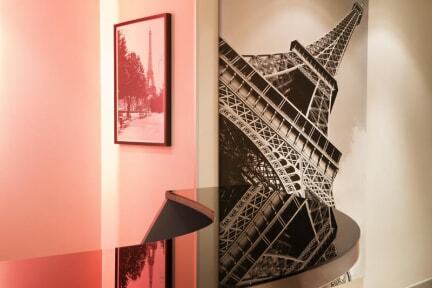 Located in a quiet side street between the Boulevard Haussmann and the boulevard of the Italians, the hotel welcome you a beautiful reception area. 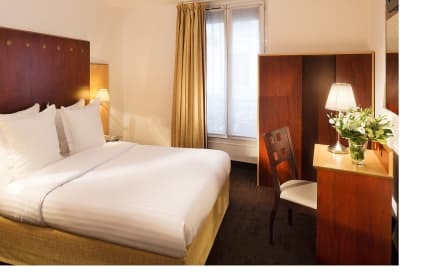 Completly renovated in 2008 with a modern decoration, the hotel Opera Haussmann is all air-conditioned, giving 34 rooms with warm-hearted colors. The diversity of shops, but also numerous cinemas, theatres and restaurants make of this quarter one of the most enlivening of the capital. Chidren over 4 years are charged at the same price.